Almost 50 children from a Cardiff primary school took part in a free Food and Fun/Bwyd a Hwyl programme this summer, set up to ensure all children have access to enrichment experiences, sport and educational activity sessions, as well as benefitting from two healthy meals each day during the long break from the normal school routine. Hwyel Dda Primary School in Ely was visited by Cabinet Secretary for Education Kirsty Williams AM who was keen to see how the children were benefitting from the initiative, as well as joining in with an indoor ball game with the pupils. The ‘Food and Fun’/ Bwyd a Hwyl programme, is a Welsh Government funded programme, match-funded by Cardiff Council, providing healthy meals as well as sport and educational activity sessions to ensure all pupils can take part in activities during the summer holidays, as well as preventing learning loss over the break. Children are also provided with food education activities run by staff accredited with the Nutrition Skills for Life Level 2 qualification. This summer, children at the Food and Fun /Bwyd a Hwyl programme at Hywel Dda have already enjoyed indoor sports, arts and crafts activities as well as a Q&A session on food and nutrition. These sessions include education about healthy eating, as well as encouraging practice of other key skills including literacy and numeracy and encouraged parent engagement. Kelly Elkins, teaching assistant and co-ordinator of Food and Fun/Bwyd a Hwyl at Hywel Dda Primary School said: “The educational support we provide throughought the holidays has proven so valuable this is now our fourth year to run the programme. The 47 pupils taking part in the project have had so much fun taking part in gardening, cooking, crafts and physical activities this summer as well as having breakfast and lunch. We also hold sessions that involve the parents like our recent ‘sugar lesson’ when the children showed their parents what they had learned about healthy eating habits. More importantly, this also showed parents how much fun learning can be as many of them had a very different experience from their children in school. 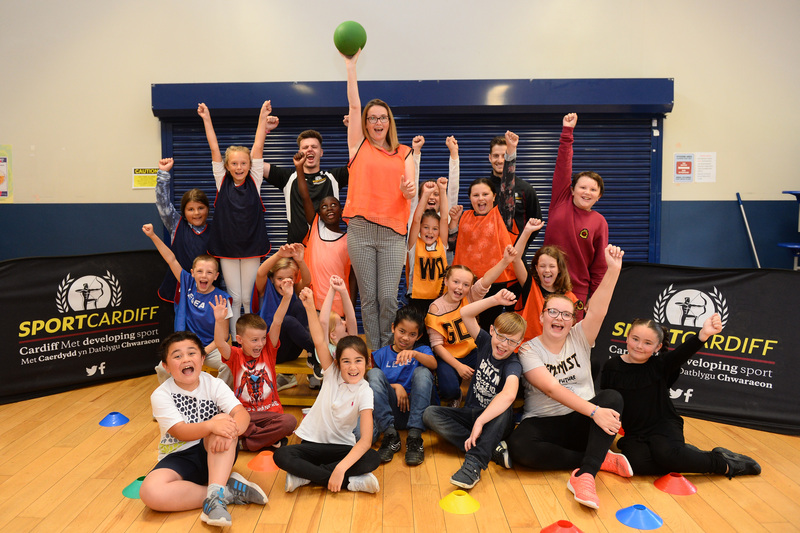 The Welsh Government has worked closely with the Welsh Local Government Association to distribute the funding for the Food and Fun/Bwyd a Hwyl programme. Cabinet Secretary for Education Kirsty Williams said: “The summer holidays can be a difficult time for some of our young people because they don’t have access to the kind of enriching experiences that their peers may enjoy. “Activities and different play schemes can also be very costly and this means that once again pupils from more disadvantaged backgrounds could lose out. “The Food and Fun/Bwyd a Hwyl programme is an ideal way for pupils to experience a wide range of food education, physical activity and other fun sessions, as well as benefitting from two healthy meals a day. They also get to make the most of local school facilities. “Being able to eat healthily and keeping active and engaged also makes a real difference to pupils’ attainment when they go back to school in September. Councillor Debbie Wilcox, WLGA Leader said: “The summer school holidays can often be a daunting time for families who are already struggling to make ends meet. The Food and Fun programme has firmly established itself in recent years not only as a fun and healthy way for children to socialise with their friends, but also as a lifeline for those families.